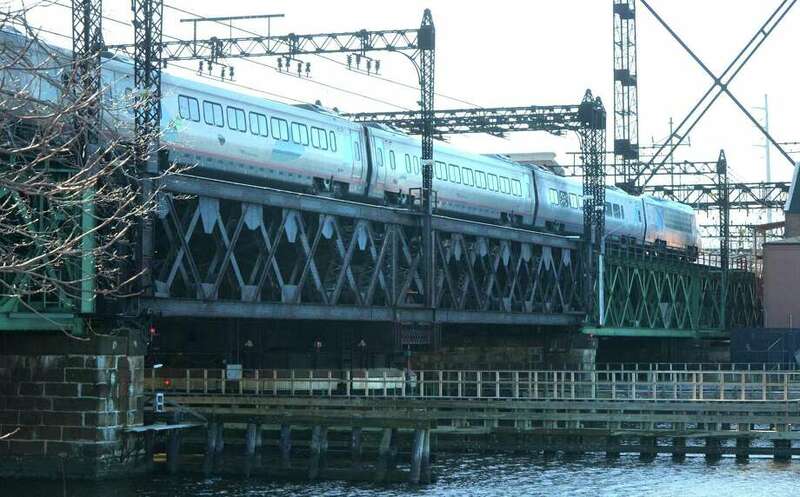 An Acela train heads toward Grand Central Terminal on the Metro-North Walk Bridge over the Norwalk River. It’s far easier in China — where things like public hearings and environmental impact studies are nonexistent and only a handful of people are needed to make a decision — to build the country’s new high-speed rail network without roadblocks. But here, the Connecticut Department of Transportation’s numerous multimillion dollar projects are often stalled by a long public process. The billion-dollar railroad Walk Bridge replacement in South Norwalk is a perfect example. The state DOT deserves a lot of credit for its transparency on this project, including about a dozen open houses, information forums and public hearings that have been held. The DOT has even opened a nearby walk-in information center. There are weekly updates and a robust website, in multiple languages, to keep Norwalkers updated on the nine-year project. Nobody can say the public isn’t involved. The project has been brewing since 2015, but only now are the protests really ramping up in the form of a lawsuit. At issue is whether replacement of the swing bridge is really necessary or whether a fixed (unmovable) bridge would suffice. Plaintiffs say a fixed-bridge wasn’t considered, but should have been, even if it meant getting the Norwalk River upstream officially closed by act of Congress and buying out the local marinas and oil terminals that might lose barge service as a result. But the state DOT says that option would only save 11 percent of the construction cost, while still disrupting the area and the demolition of the Aquarium’s IMAX theater. I’m not a lawyer (or an engineer), so I can’t opine on either the legality or engineering decisions. But that hasn’t stopped others from questioning the state DOT at this late point in the process. Everyone seems to have an opinion, whatever their qualifications. But where were these people three years ago when the project was in its development phase? How much work, time and money might be lost if their litigious second-guessing further stalls this crucial project? Remember: this bridge is being replaced because it is used by 200 daily trains carrying 125,000 passengers on Amtrak and Metro-North. There’s a lot at stake if it isn’t fixed. Another case in point: the Cribari Bridge over the Saugatuck River in Westport that was built in 1884. This swing bridge carries vehicular traffic on Route 136, but is so old and crumbling that the state DOT recently put a 20-ton weight restriction on the span. That means fire trucks can’t get across. But the town and the state DOT have been battling for years about replacing the Cribari bridge. Preservationists want to keep its ornamental steel truss filigree even though it’s regularly blocked by traffic. It’s another battle of nostalgia over practicality. I’m all for citizen engagement in transportation planning. But at some point, we have to trust the professionals — yes, the engineers, to do the right thing and build for the future. The time for kibitzing should have a statute of limitations. Our crumbling infrastructure cannot wait to be rebuilt.